Dr Samuel Nzekwe, a former President, Association of National Accountants of Nigeria (ANAN) has advised the Federal Government to redouble its efforts by providing more job opportunities in 2019. Nzekwe gave the advice in an interview with the News Agency of Nigeria (NAN) in Ota, Ogun on Friday. The former ANAN president said that the advice became necessary in order to meet the expectations of an average Nigerian. 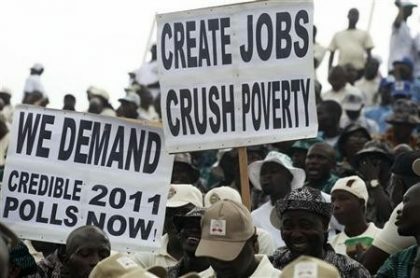 “An average Nigerian will like to see the economy improving as well as seeing Federal Government reducing the unemployment rate in the country,’’ he said. Nzekwe urged the government to intensify efforts in providing the enabling environment for the productive sector to thrive. He also suggested the need for a stable electricity supply in the country to attract foreign investors. “There is no way a nation can talk about economic growth without talking about steady electricity supply, ‘’ the ex-ANAN president said.